Recently I experienced Error when accessing graphic (BDS), RC = 5 BDS (Business Document Service) error when I try to display a SAP Smartform output which has a logo graphic on it. 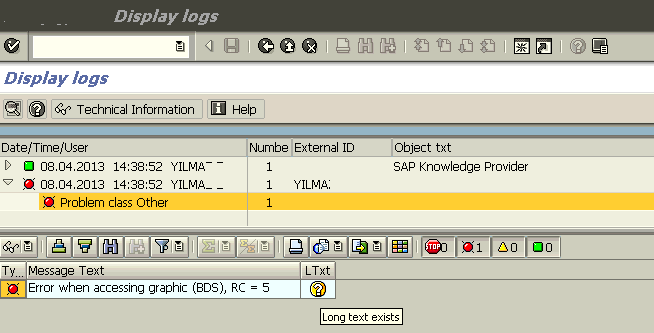 First, I thought I forget to transport the image that I imported to SAP system using SE78 transaction. But later I realized that the problem is bigger than I thought. The main cause was the BDS or Business Document Service was not available on target SAP system. This is the error message when I try to get the SAP Smart Form invoice output. 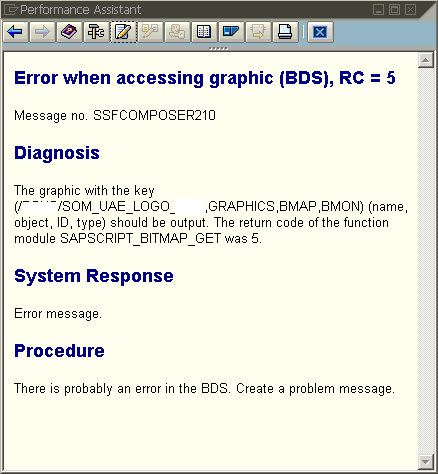 The graphic with the key (/BSHS/SOM_UAE_LOGO_BSH,GRAPHICS,BMAP,BMON) (name, object, ID, type) should be output. The return code of the function module SAPSCRIPT_BITMAP_GET was 5. There is probably an error in the BDS. Create a problem message.